I have taken my professional experience in software development for over a decade and applied it to my passion for futures day trading. 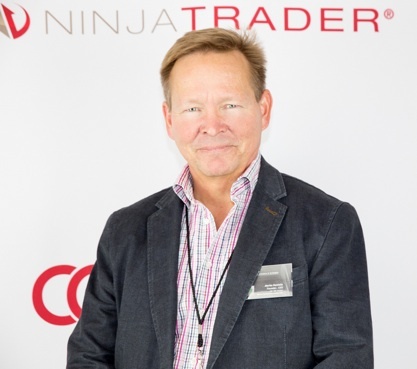 Since 2008, I have been developing my Price Voodoo collection of NinjaTrader indicators and strategies for futures, stocks and options and lately forex and even binary options. I have been successfully trading using automated strategies since 2012. New models with machine learning neural networks since 2016. My experience developing software to solve trading weaknesses makes me uniquely qualified to support traders in their quest. Do you have trading weaknesses to overcome or mechanical trading rules you would like to have programmed into a strategy? Do you have an idea for a unique indicator? and we can explore your ideas further. •SW-engineer: Scientific Instruments Division, AI-developer for Gas Chromatographs. •IT-designer and programmer; Some very special optimization SW developed (theoretically unsolvable handled). More than 50 000 lines of my dinosaur code used to run, there. •Master of Science (Tech. ): Major: IT, Software Engineering. Minor: Industrial Economics. •Bachelors in Mechanical Engineering (Best of the class). Family: I have two teenage children. We live in the country of Finland. Leisure interests: Tennis & badminton weekly, gardening. For more information on my professional experience, please visit these links (or the whole CV) and be a part of my network like linkedin as some info shared with that channel regularly. Recently I have realized to be more a developer and a problem solver than a trader (risk taker) so don’t be afraid with your ideas. Week areas: exit methods, ability to keep the position long enough. FYI: All of those weak areas have been improved with good tools and verified results of different strategies.